There was Mirga magic galore enthralling a packed CBSO audience within the Symphony Hall. Never mind the noisy disco mayhem which blocked off the ICC Mall on Wednesday evening; there was Mirga magic galore enthralling a packed CBSO audience within Symphony Hall and a live BBC Radio 3 audience Europe-wide. 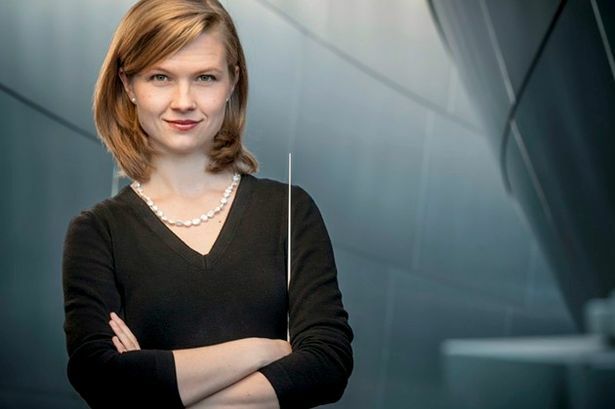 Mirga Grazinyte-Tyla began her first-ever subscription concert as the orchestra&apos;s music director with a work by her Lithuanian compatriot Raminta Serksnyte, her Fires of 2010 receiving its UK premiere. Well-imagined, its tinkling shimmering opening (a subconscious link to the Mahler which we were to hear later?) building tense mystery through a sustained crescendo to a Dante-esque onslaught. This is a surely-constructed purposeful score, deservedly in succession to the tone-poems of Serksnyte&apos;s great Baltic predecessor Sibelius, and Mirga unfolded it with a sure, steady beat. A more obvious link to the culminatory Mahler was Haydn&apos;s Symphony no.6 "Le Matin", with its dawn-stirring opening. Mirga deployed a surprisingly large CBSO string section here, sometimes to the inaudibility of Martin Perkins&apos; harpsichord continuo, but we were treated to a witty lightness of touch, characterful contributions from a variety of soloists, and a wonderful trump from all concerned just before the end. And so at last we came to Mahler&apos;s First Symphony, opening at dawn in bird-singing woodland, passing through dewy-eyed nostalgia and gnawing suspicion to an eventual glorious catharsis. Three weeks ago in a provincial German city I heard a performance of this ardent work for which "dull" is too lively an adjective. Tonight was so different. What Mirga&apos;s eloquent arms, which seem to encompass the whole orchestra, achieved here was an amazing welding-together of the score&apos;s sprawling, disparate elements, unafraid to look forward to the gashing expressionism of Mahler&apos;s great disciple Alban Berg (and not only in the slow movement&apos;s Kletzmer interlude) whilst at the same time dwelling on a young man&apos;s ardour. Symphony Hall played its part in the offstage hunting fanfares. Truth to tell, a few onstage trumpet notes were dropped, and someone has yet to convince me why the slow movement&apos;s Frere Jacques dolorousness should not be played on a solo double-bass (is Mahler&apos;s score so ambiguous?). But Mirga gave us an inspiriting reading of this uneven symphony, turned her orchestra to acknowledge gallery applause, and urged us to be "proud of this city and this incredible orchestra". And then her CBSO gave us an encore -- unheard of on home ground, but totally appropriate on this joyous occasion.